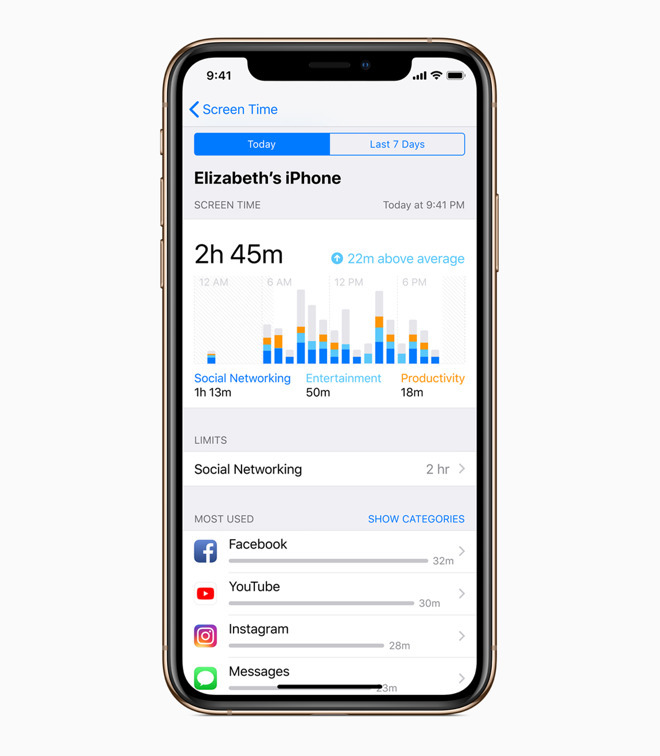 Screen Time, one of the most important additions in iOS 12, is intended to give people access to data that can affect their behavior without imposing hard limits, said Apple marketing VP Greg Joswiak in a recent podcast interview. "If you ask people how much they use their devices, they can only guess," Joswiak told Arianna Huffington on "The Thrive Global Podcast." "If you ask them how much they use a certain app or category app, they can only guess," he continued. "I almost guarantee that their guesses are wrong, so what we wanted to do was give people real information about how much they use devices, apps, app categories, and how many notifications they get. The director said he believes that most people turn on the screen time and that they control how they use iPhones and iPads. One of the features of Screen Time is the possibility for parents to control their children and to impose restrictions, but Joswiak suggested that parents can have an "intelligent conversation" about their use before resorting to strict rules. Screen time should continue to evolve in future updates. "We know that there is much more that we want to do in the course of time," Joswiak hinted.